Most breweries require air compressors to operate their equipment, such as automatic keg washers, bottling and canning machines, bottle depalletizer, etc. Many applications involve compressed air coming in direct contact with the product or the container of the product so oil-free air compressors with dryers are strongly recommended. Our scroll pump technology is well-suited for the intermittent air demands that are common with craft breweries – much more so than screw compressors. For guidance on compressor sizing, selection, and proper maintenance, please contact us! Powerex manufacturers oil-free compressed air systems just outside of Cincinnati, OH. We are an ISO 9001:2015 manufacturing facility that is able to provide complete air systems including tanks, UL508A control panels, and dryers. Contact Powerex today to match you with the right compressor for your brewery. 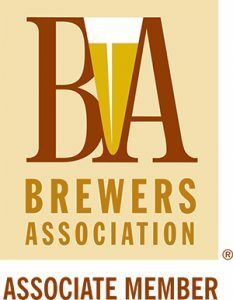 Powerex is a member of the Brewers Association. If you are interested in growing your business and will commit to working with Powerex on this opportunity, please contact us. We can also provide a list of successful Powerex brewery installations for references.